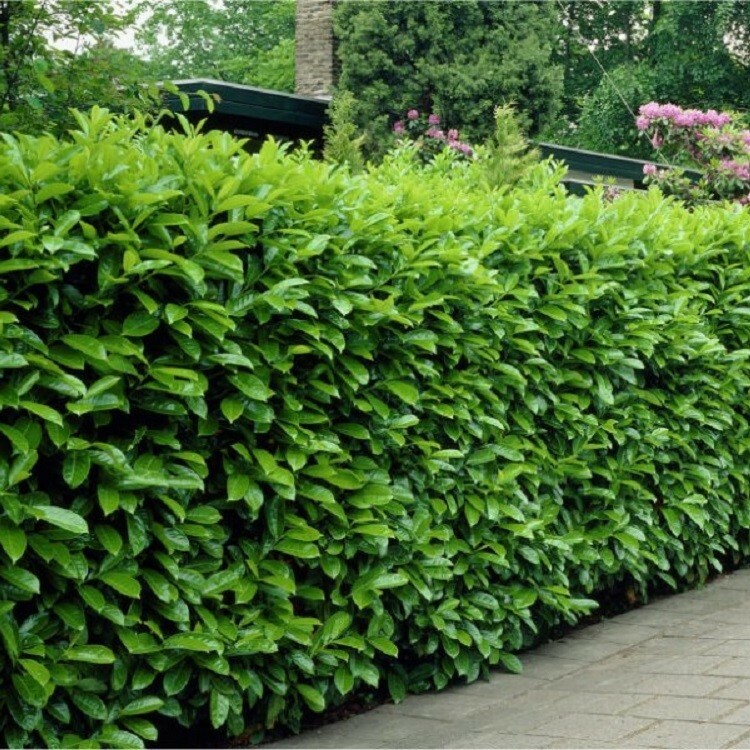 Dense, bushy, evergreen shrub with large glossy, dark green leaves. 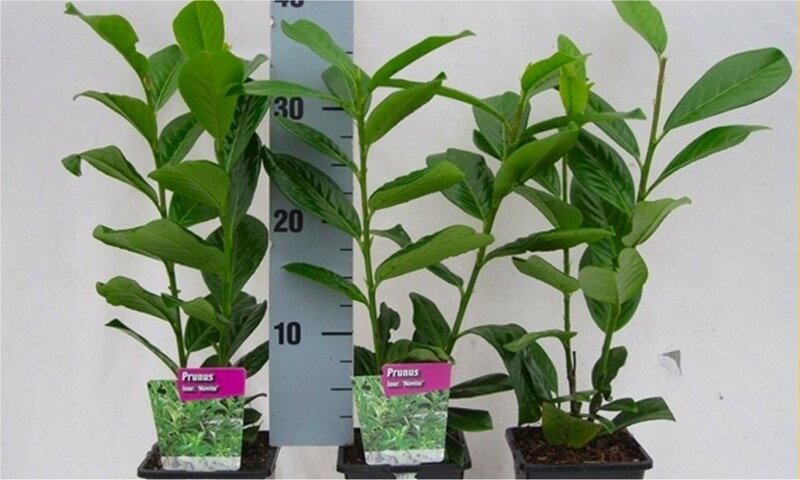 It makes an excellent hedging plant, and can cope with deep shade under trees was well as full sun. Small white flowers are produced on spikes in mid-spring, followed by cherry red berries (harmful if eaten). Garden care: When planting incorporate lots of well-rotted garden compost in the planting hole. Prune in either spring or summer. Mature plants can tolerate hard pruning in spring, cutting back to the old wood. Plants are easily maintained at a smaller height and spread by annual trimming. 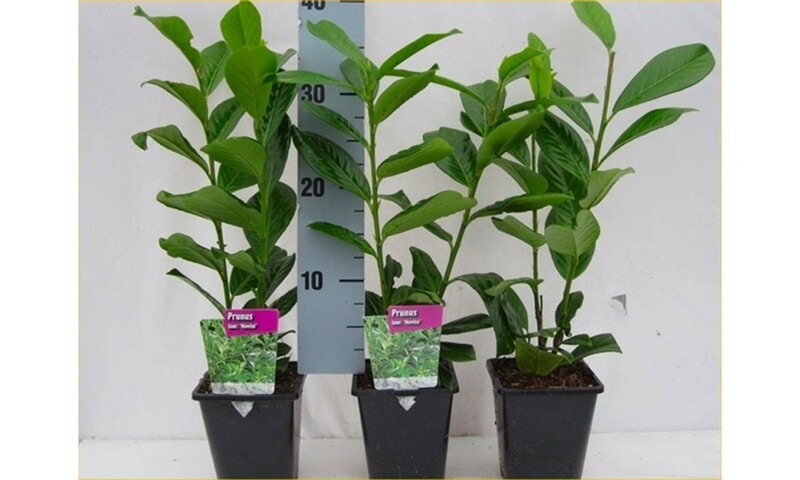 Supplied as approx 1 litre container grown quality plants at a height of around 30-40cms (1ft) , for hedging purposes these are best set 45-60cms (2ft) apart. A good alternative to Leylandii if you are concerned about maintenance. This plant is available all year round.